Black Caviar’s breeder, Rick Jamieson through his Gilgai Farm has purchased an interest in exciting young Vinery stallion Myboycharlie. 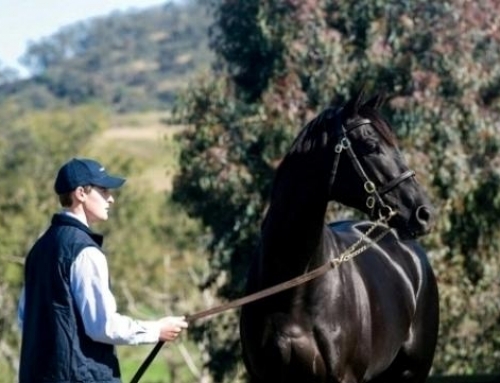 The son of Danetime was one of the most profitable first season sires at several of the 2012 Australian yearling sales. Those yearlings sold to a high $170,000 and he produced eight yearlings that sold for $100,000 or more. The first crop of Myboycharlie have just turned two-year-old and will enter some of the country’s leading stables including Gai Waterhouse, Gerald Ryan, Anthony Freedman, David Hayes, David Payne, Mathew Smith, Jason Warren, Michael Kent, etc. Gai Waterhouse has three Myboycharlie’s in her stable and was full of praise for them. “Between Star Thoroughbreds and my team we purchased three progeny of Myboycharlie at the yearling sales in 2012. Each and every one of them look like making smart two-year-olds as they are natural athletes with very willing attitudes. I look forward to securing more of his progeny for my stable next year.” she commented.